Mix the olive oil, Vegetarian No Chicken Base, garlic and crushed red pepper together in a large mixing bowl. 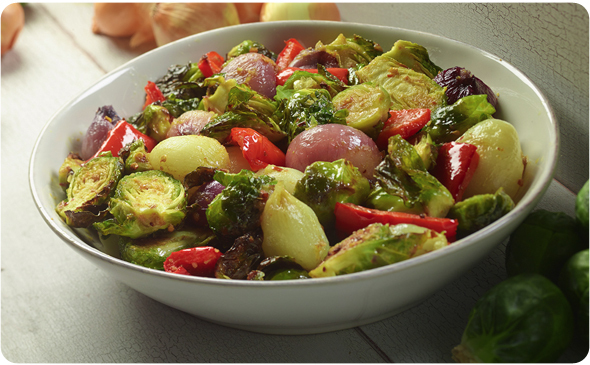 Add the Brussels sprouts, onions and bell peppers to the bowl and toss to combine. Spread the vegetables evenly onto a rimmed baking sheet and place the baking sheet directly into the oven. Roast the vegetables for 20 minutes. Carefully remove the baking sheet from the oven and serve immediately.